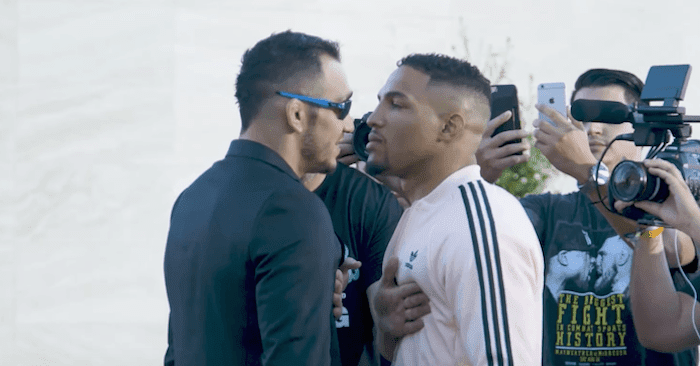 A mini-controversy emerged last week when the UFC announced the bout order for this weekend’s UFC 216 card, which takes place Saturday at T-Mobile Arena in Las Vegas, Nevada. Instead of setting a late addition bout featuring Demetrious Johnson vs. Ray Borg for the flyweight title as the main event, the original headliner, a bout between Tony Ferguson and Kevin Lee for the interim lightweight title, kept its spot, with Johnson vs. Borg named as the co-main event. There are arguments for and against the UFC’s decision, but ultimately I do believe that the promotion made the right call. The first point I’ll make is that the Ferguson-Lee bout was always the main event for this card, with Fabricio Werdum vs. Derrick Lewis’ heavyweight tilt the co-main event. 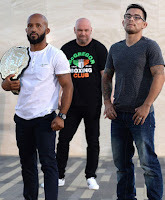 Even though Ferguson-Lee is for an interim title and Johnson-Borg is for the undisputed flyweight belt -- plus Johnson has a chance to set the UFC record for most-consecutive title defenses -- changing the headliner at such a late date seems like a bad idea, especially since Ferguson-Lee seems like a much more exciting fight on paper, and one that fans are more likely to buy on PPV. You have to consider how poorly Mighty Mouse’s pay-per-views have done numbers-wise. 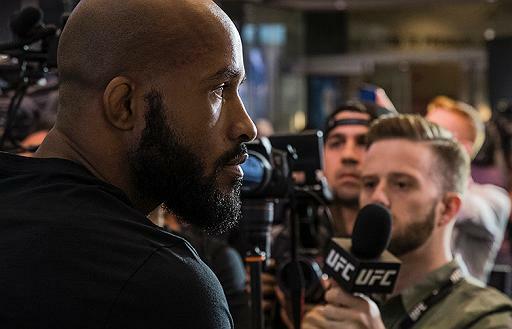 As good as he is at fighting, for whatever reason, Johnson -- and the flyweight division in general -- has never resonated with fans, as he’s set several records for low-selling PPVs. Fans just don’t want to pay to watch Johnson fight, and even though Ferguson and Lee aren’t proven PPV draws themselves yet, the UFC has to at least see if fans are going to pay to watch those two fight. The UFC needs to see what they have with these two lightweights, because the winner of this fight has a chance to fight Conor McGregor to unify the lightweight title in his next bout, and the UFC needs to make sure people want to pay to watch him fight. Otherwise, the matchmakers could go in another direction. Then you have to consider the fact that Borg isn’t reliable. Remember, it was just a few weeks ago that Johnson and Borg were supposed to meet at UFC 215 in Edmonton, Alberta, Canada, before Borg pulled out at the last minute with an illness and the fight was scratched. Borg has pulled out of multiple fights in his career, due to either illnesses, bad weight cuts, or injuries, and even when he has made it to fights, he’s missed weight multiple times. It’s not fair to Johnson, but then again, Johnson was the one who chose Borg as his opponent over TJ Dillashaw, so he has to live with the fact that the UFC can’t trust Borg to main event a card anymore. When you add all the negatives together -- the fact that Ray Borg isn’t reliable, the fact that fans don’t like paying to watch Demetrious Johnson and the flyweights fight, and the fact that Tony Ferguson vs. Kevin Lee was the original main event -- it only made sense to keep the headliner of UFC 216 as it was. That’s going to upset a lot of the hardcores who believe a real title should always headline over an interim title, but the UFC isn’t chasing the hardcores for PPV buys; the company is chasing casuals. And quite frankly, Ferguson and Lee have more exciting styles that translate into casual buys. At the end of the day I don’t expect UFC 216 to do great on PPV regardless of the headliner, but considering all the factors, the UFC made the right choice with Ferguson vs. Lee as the main event.